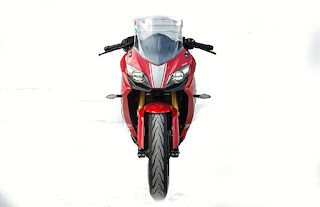 The Apache RR 310(tvs Akula ) gets a big front-fairing, a protective windshield, and a split headlamp setup. The headlight hold HID projector setups, which further enhance the lightning and premium look of this bike. The LED DRLs looks stylish. Both the headlights will be on low beam.apache RR 310 gets an all-new suspension to improve handling. It provides excellent ride quality over most surfaces. The painted in golden, which further make the bike look sportier. The bike’s taillamp catches attention at the rear. 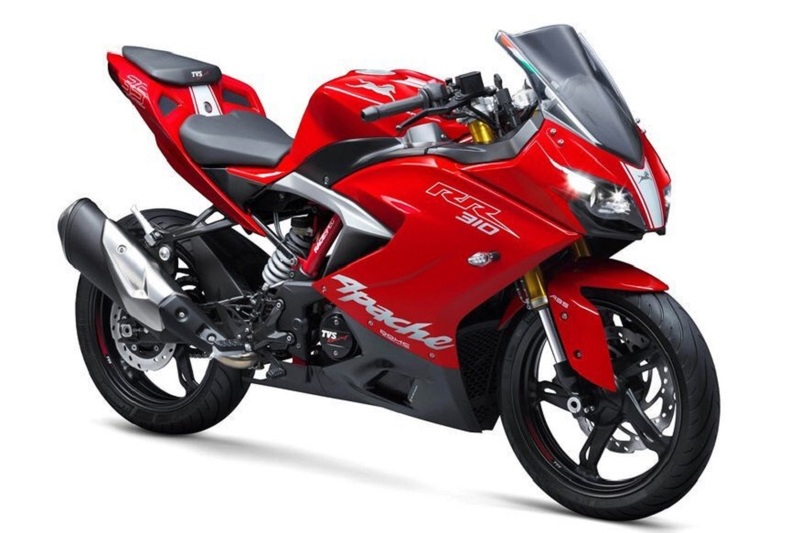 Apache RR 310 Price is very competitive and unique.It's on road price is 2,27,000* INR Delhi. whereas the price of KTM RC 390 goes up to 2.6 lac India.There is no other motorcycle of this specification and have this much price.we are really looking forward to the delivery of the Apache RR 310 by Jan 2018. It has 4 strokes and 4 valve single cylinder, liquid cooled engine.Displacement is 312.2 CC.Apache RR 310 gives a maximum power of 25KW@9700 RPM(34 PS@9700 RPM) and peak torque of 27.3 NM@7700 RPM.It has dynamically controlled integrated high energy ignition system.Power to weight ratio of RR310 is 0.147 KW/KG.Clutch system of Apache RR 310 is wet multi 8-plate.This model has 6-speed gearbox. 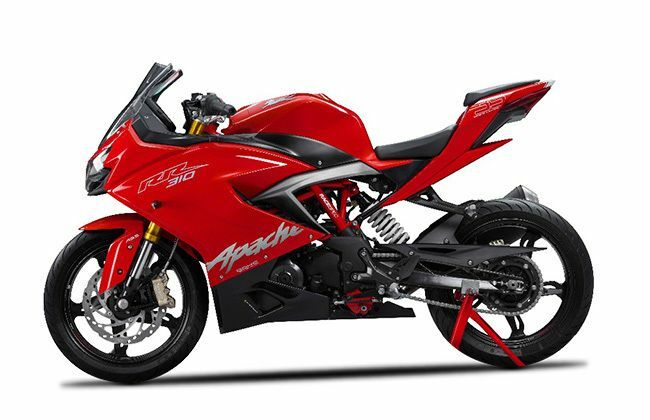 The Apache RR 310 gives a mileage of 30 KMPL on the straight highway and 25 KMPL in city ride. Which is best in this segment. It is very difficult for sports bike to maintain good mileage figure when it meant for racing.TVs did an amazing job. Acceleration of Apache RR 310 is amazing it can go 0-60 mph in just 2.9 Seconds and Top Speed of 160 kmph.Which is more than enough for India.It can also touch 100 KMPH in just 7 sec. The number of Service Center and Showroom of TS is many and Almost every city has many Service Center so there is no problem of maintenance and part availability like KTM or any other Sports category bike.For example, if you are living in a small city then probably there is no service center in KTM or Kawasaki but TVs must b in your city.So you don't have to go outside for servicing and maintenance. Apache RR 310(tvs Akula ) has Reverse-inclined engine Which is first time introduce in India. Lightweight Trellis Frame for better riding ability. 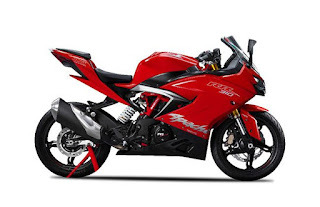 TVs RTR was a big hit and people still love RTR series.Meanwhile, TVS launched apache RR 310(tvs Akula ) in India with an attractive price of 2.02 lac (EX-Showroom price Delhi). Clearly Speaking in term of performance Apache RR 310 great and in term of build quality, it's even better. If you are looking for entry level bike then you should try this at once before make your mind for any bike.